Orlando B. Hinshaw1,2,3 [A. B. Hinshaw4,5,6]. 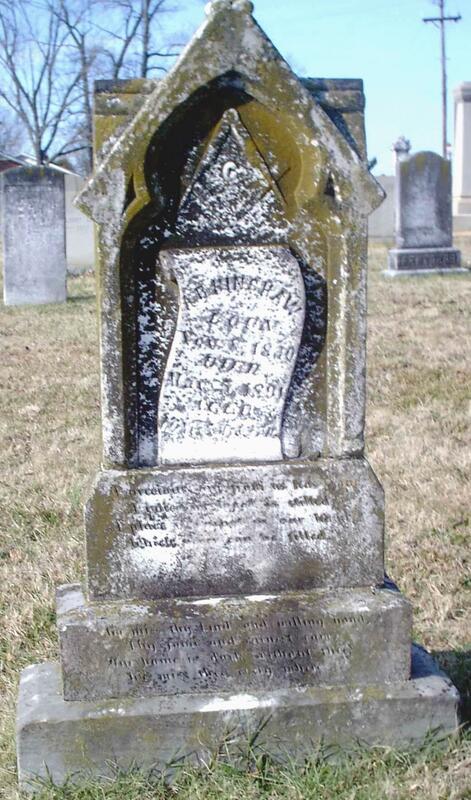 Born Nov 8 18301,2,3,6 [about 18325], Marlborough MM, North Carolina1,2,3,6. Orlando's middle name is unclear in the 1850 census, but appears to be "Bran...".7 Just two households away from the Hinshaw family was the household of John Bransom (or Branson),8 so one might speculate that perhaps Orlando's middle name might have been Bransom or Branson. He married Nancy A. Tucker, Jan 21 1857, Guilford County, North Carolina.2,9 Nancy, daughter of Zadock Tucker & Mary "Polly" Tyer3,10, was born Jun 17 18323,10 [about 18365], Guilford County, North Carolina3,10. A marriage bond was recorded for A. B. Hinshaw & Nancy A. Tucker on Jan 16, 1857, Guilford County, North Carolina.4 [the meaning of "A.B." is uncertain, but "Orlando" was sometimes written as "Arlando" or "Arlendo"]. In this county, on Wednesday 22nd inst., by Rev. J. M. Gunn, Orlando Hinshaw of Randolph, to Miss Nancey A. Tucker of Guilford. Orlendo Hinshaw, age 29; farming & trading; $1250 real estate; $4595 personal property. Nancy A. Hinshaw, age 28; domestic. William A. Hinshaw, age 11. 1 black female age 20. 1 black female age 5. 1 mullato female age 3. Hinshaw, A.B., age 48; born in North Carolina; parents born in North Carolina; farmer. Hinshaw, Nancy A, wife, age 44; born in North Carolina; parents born in North Carolina; keeping house. 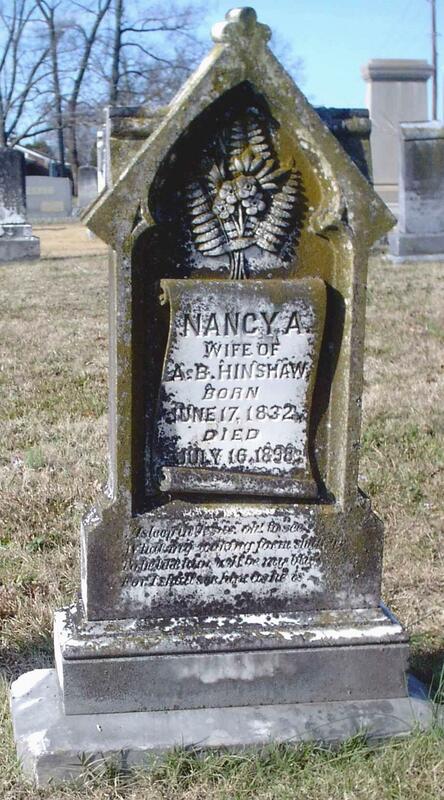 Nancy died Jul 16 1898, Pleasant Garden, Guilford County, North Carolina; buried Pleasant Garden United Methodist Church Cemetery, Pleasant Garden, Guilford County, North Carolina. 1860 census, New Salem P.O., Eastern Division, Randolph County, North Carolina; roll M653-910, page 279, line #39, dwelling #773, family #773. 1880 census, Fentress Township, Guilford County, North Carolina; roll T9-965, ED 117, page 204A, line #13, dwelling #39, family #39. 1850 census, Randolph County, North Carolina; roll 641, page 238, dwelling #1091. 1860 Slave Schedule, Eastern Division, Randolph County, North Carolina; page 2. 1860 census, New Salem P.O., Eastern Division, Randolph County, North Carolina; roll M653-910, page 279, line #14, dwelling #766, family #766.